You may think that teen friendship bracelets are out of fashion, but tech start-up company Gemio aims to change that by turning friendship bracelets into trendy wearable tech. 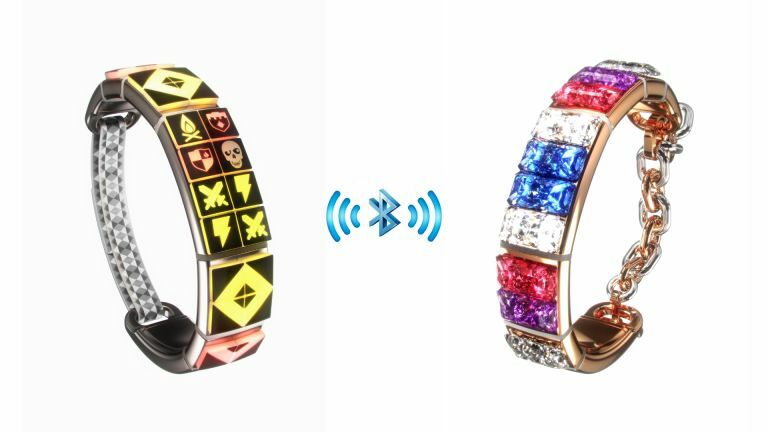 Gemio have come up with concept friendship wearable's that communicate with each other through 'light up gems'. The bracelets connect to your smartphone using the 'MyGemio' app, where you can control the light effects by assigning them to gestures such as a high-five or a handshake as long as your within 50 feet indoors or 100 outdoors. The social interaction element of these bands means wearables are becoming more and more friendly. Not just designed for kids, imagine sending a light up high five message to someone that you like on the way past you from work? Things could get a bit too friendly. According to Gemio CEO Michael Bettua, people today want to create their own style and tend to shy away from particular brands. With interchangeable gems and customisation of the hardware you can configure these bracelets exactly the way you want. If your stuck on ideas of what design to choose, you can go onto the Gemio website and share and discover new designs. Retailing from roughly £39-£65, these friendship bracelets are a cheaper way to get your hands on wearable tech that's a bit social. The band and gems are constructed of a polycarbonate mix and lined with a metal backing, making these bracelets a durable alternative to the plastic, LED light up bracelets that we were used to as kids.